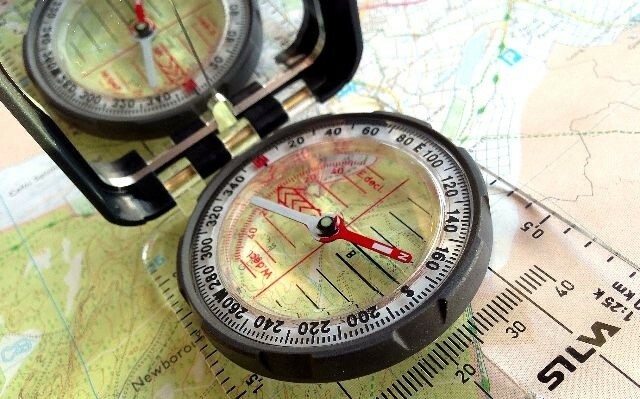 Orienteering is the act of finding one’s way using a map and a compass. A world class orienteering course exists at the Ney Nature Center and is open for use by the public through the iOrienteering app. To begin your journey, first scan the QR code of the chosen course from the maps in kiosk in the Ney Nature Center parking lot using the iOrienteering app. Then scan the ‘START’ QR code which is attached to the sign in the parking lot that states that “Dogs must be on a 6-foot leash.” When you finish your course you will also need to scan the ‘FINISH’ QR code from the back of the same sign. You can also use any of the orienteering courses on your own without the app. The Ney Nature Center Orienteering Course was made possible by the students at the New Prague Alternative School under the guidance of the Minnesota Orienteering Club.